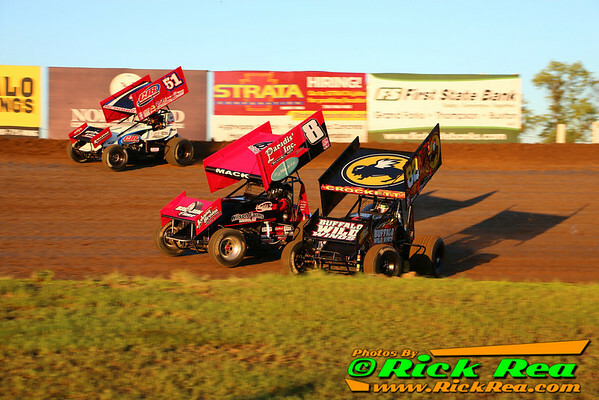 GRAND FORKS, ND (August 27) - The rumble of the Northern Outlaw Sprint Association rolls back into River Cities Speedway Friday night for the final Premier Racing Series event of 2014. 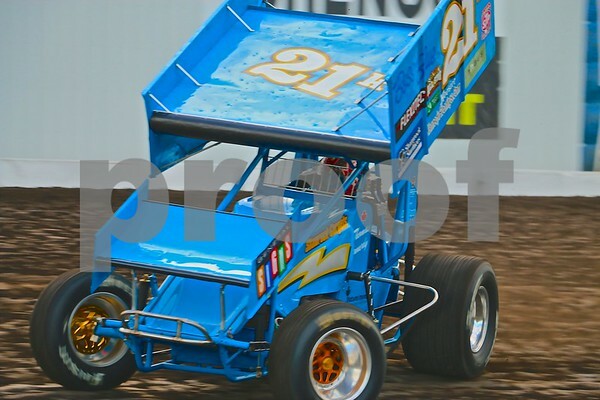 GRAND FORKS, ND (August 22) - Austin Pierce's breakout season continued Friday night at River Cities Speedway as the driver of the Opp Construction #2A pulled off yet another win at The Bullring. Jordan Adams looks to sweep Greenbush Race Park. GREENBUSH, MN (August 20) - Another double-header weekend is lined up for the Northern Outlaw Sprint Association. On Friday night, the series will head back to River Cities Speedway for their third event at the high-banked 3/10th mile track within a week. Saturday they will pack up and head east to Greenbush Race Park in Greenbush, Minnesota for the final out-of-town race of the year. 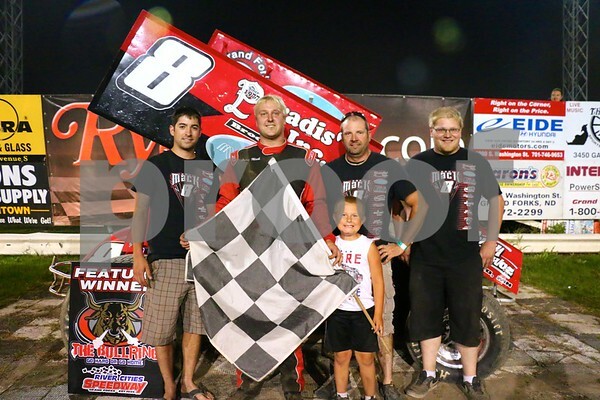 Thomas Kennedy scores his 4th NOSA victory of 2014 on Saturday night at RCS. GRAND FORKS, ND (August 16) - For several years Thomas Kennedy has made the trip across the border from Winnipeg, MB to race weekly at River Cities Speedway, but had never parked his familiar blue 410 Sprint Car in RydellCars.com Victory Lane; until last Saturday night. 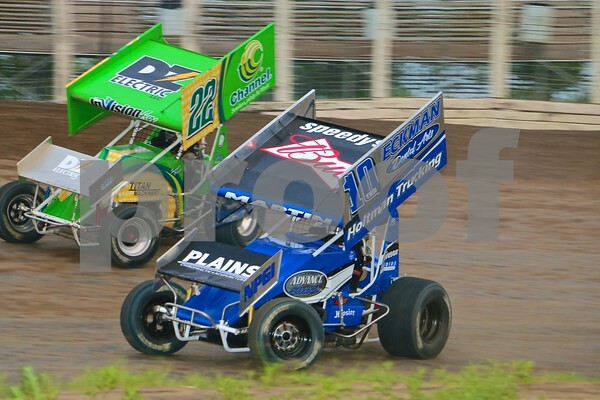 NOSA takes on the World of Outlaw Sprint Cars on their home turf this weekend. GRAND FORKS, ND (August 14) - After having last week due to the running of the 54th Knoxville Nationals in Knoxville, Iowa, the Northern Outlaw Sprint Association will be back in full force this weekend with three nights of racing. Mark Dobmeier & Chris Shirek represent NOSA at the Knoxville Nationals. KNOXVILLE, IOWA (August 9) - With 110+ drivers competing for the $150,000 check at the most famous dirt track in the world, the Knoxville Nationals is the one race every Sprint Car driver wants to win. 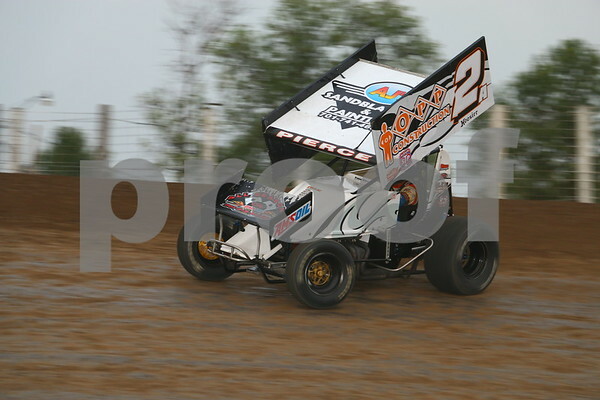 This year Chris Shirek and Mark Dobmeier made the near 600 mile haul to represent the Northern Outlaw Sprint Association on Sprint Car racing's biggest stage. Casey Mack Tallies 1st Win of the Season. 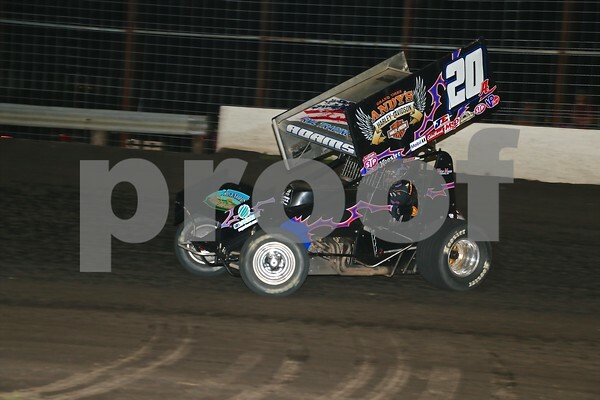 GRAND FORKS, ND (August 1) - Casey Mack has been fast and up front all season long, but taking the checkered flag had eluded him until Friday night at River Cities Speedway.